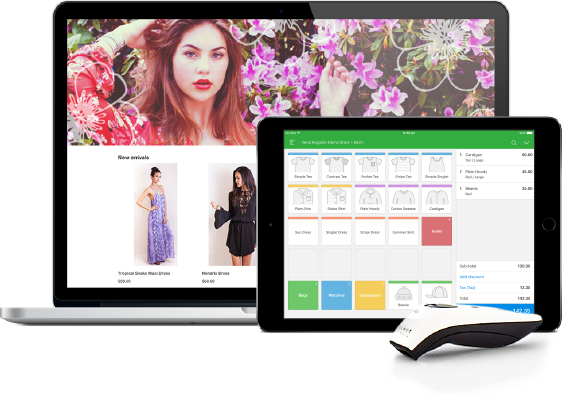 Vend is Retail POS Software, Inventory Management, eCommerce & Customer Loyalty for iPad, Mac & PC. Easily manage and grow your business in the cloud. Vend continues to work even if your internet connection doesn't. Your data will automatically synchronise the next time you connect. Vend makes it easy to sell to your customers, whether you use the web-based POS version on Mac or PC, or the Vend Register iPad app. Take control over your inventory with full or partial inventory counts. Create a beautiful online store in minutes and manage everything centrally. Quickly add products, fulfil orders, and track sales from a single account. Manage your Products and Sales in one system. Easily grow your customer list with Vend. View purchase history and account balances and centrally manage all your customers. Grow repeat business with your own loyalty program. Integrate with great add-ons such as Xero Online Accounting, Magento Ecommerce through VortexHQ.com, Dear Inventory, Timely Bookings and Shopify Ecommerce. COPYRIGHT © 2009 - 2019 DIGICLOUD®. ALL RIGHTS RESERVED. "DIGICLOUD" IS A TRADEMARK OF DIGICLOUD PTY LTD.